I've had the idea of this top in my head for quite a while, and the fabric in my stash for even longer. 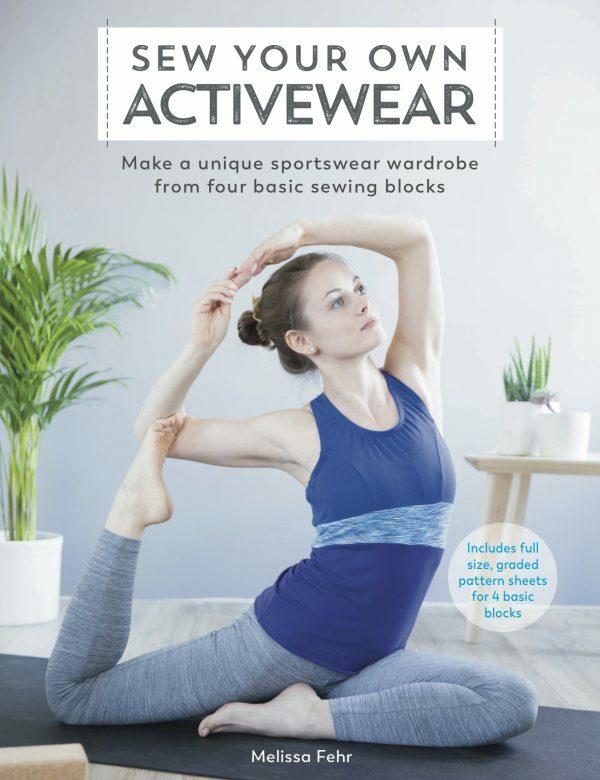 I really wanted to show how versatile a design the Raglan Tee in my "Sew Your Own Activewear" book can really be, and that you can still introduce a back pocket into it even if the invisible zipper technique shown in the book is a bit too tricky. 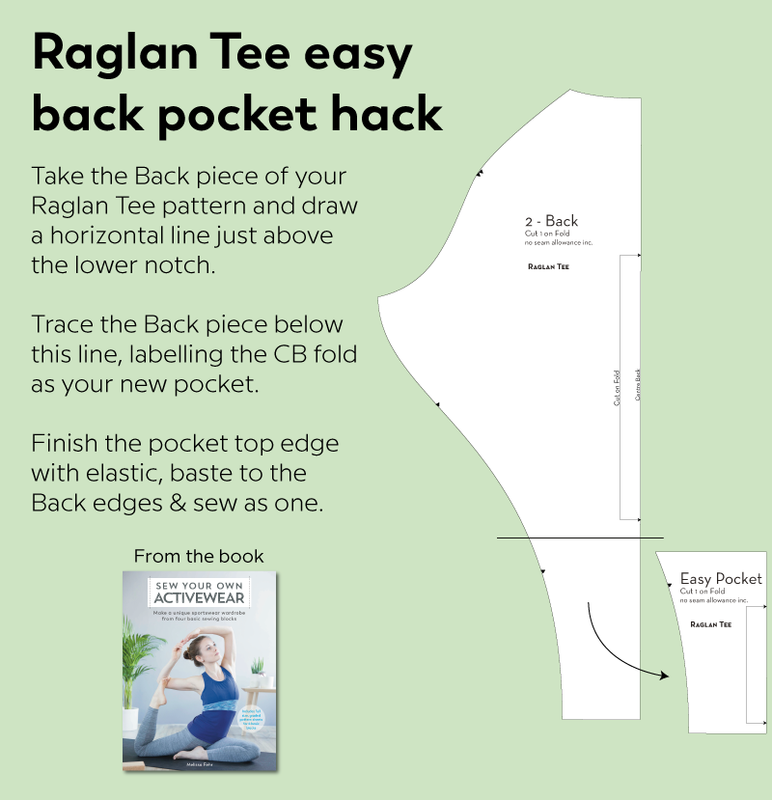 So today I’m going to show you how to add a different, much easier back pocket into your Raglan Tee. I hacked mine to habe long sleeves, as described in this post, but this would work just as well with a short sleeves as seen in the book. First, take the Back piece of your Raglan Tee pattern and draw a horizontal line just above the lower notch. 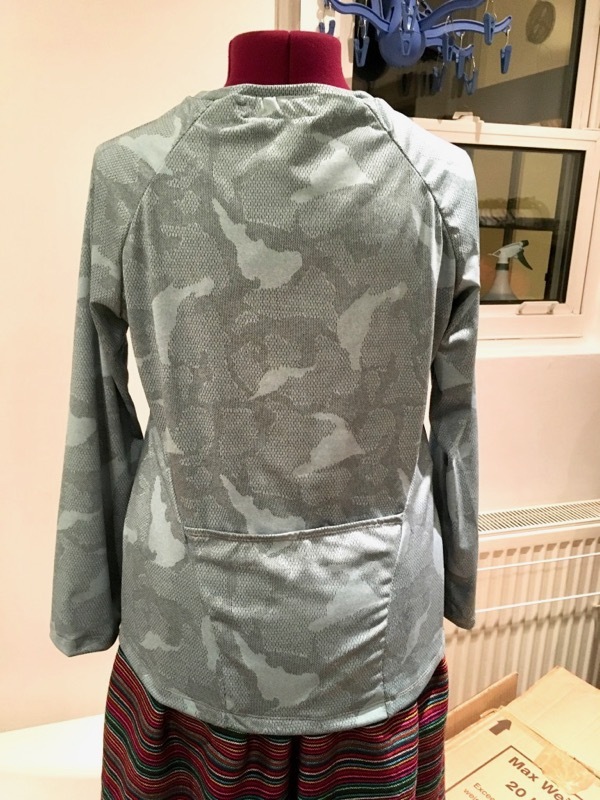 Trace the Back piece below this line, labelling the CB fold as your new pocket. When cutting out your fabric, cut the Back piece as usual, but also cut one of your new pocket piece, too. Before starting to construct your Tee, finish the pocket top edge with elastic (any of these methods would work! ), baste to the Back edges & sew as one. 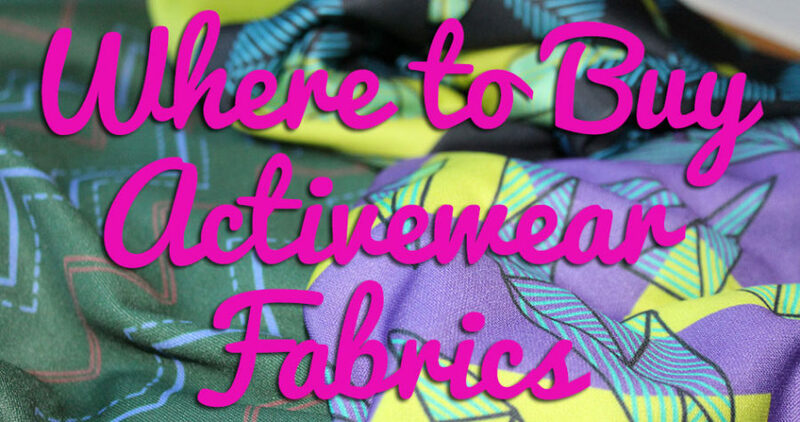 I used some Stoff & Stil activewear fabric I’ve had in my stash for quite a few years. 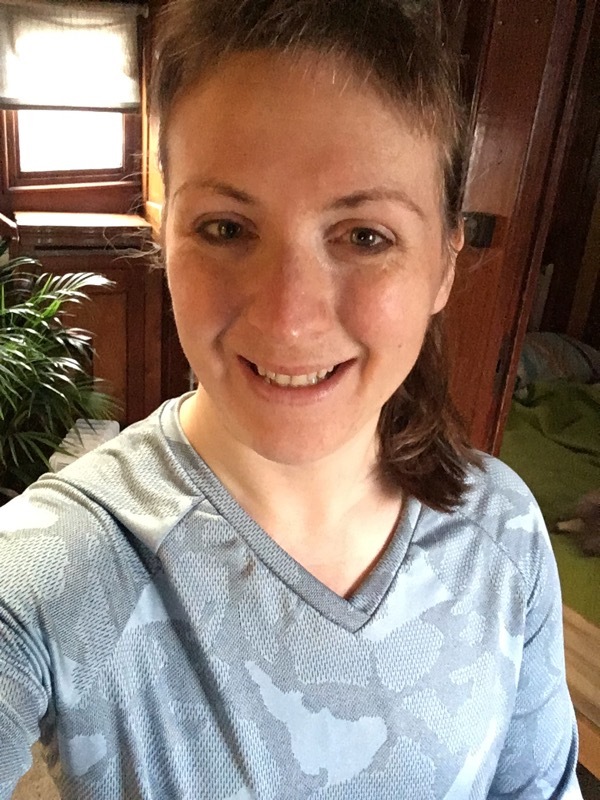 It’s a perfect weight for tops and I happened to buy enough of it for long sleeves, so I’m enjoying wearing this for running and as a base layer for cycle commuting, too. This was the last garment I made in our rented flat before we moved back onto the boat in December. I’d wanted to add a heat set vinyl reflective design to it, but my Silhouette machine was not playing nicely, so this Raglan Tee is currently unadorned. I think I’ll probably add some motivational words onto it eventually when I’ve got the space to set up my machine again! 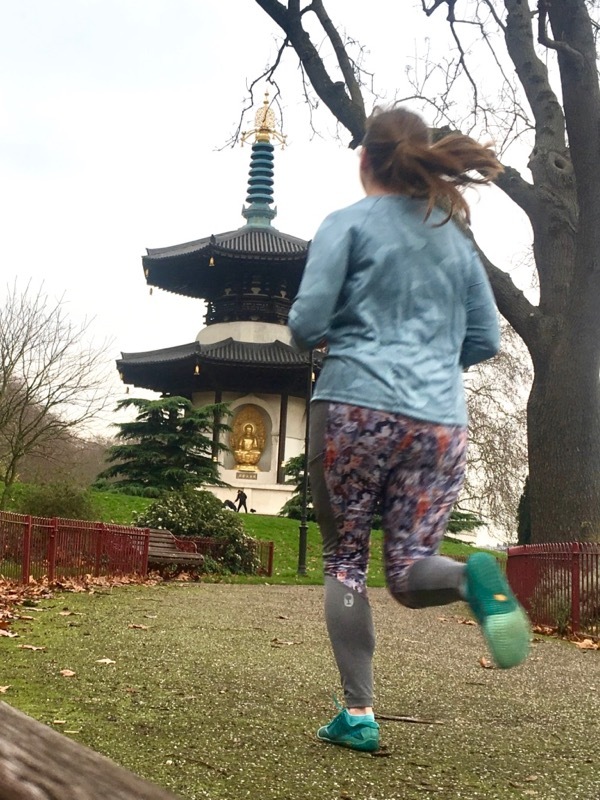 I chose this tee for my first run back in my local park (paired with my kitty Active Leggings, also from my book! 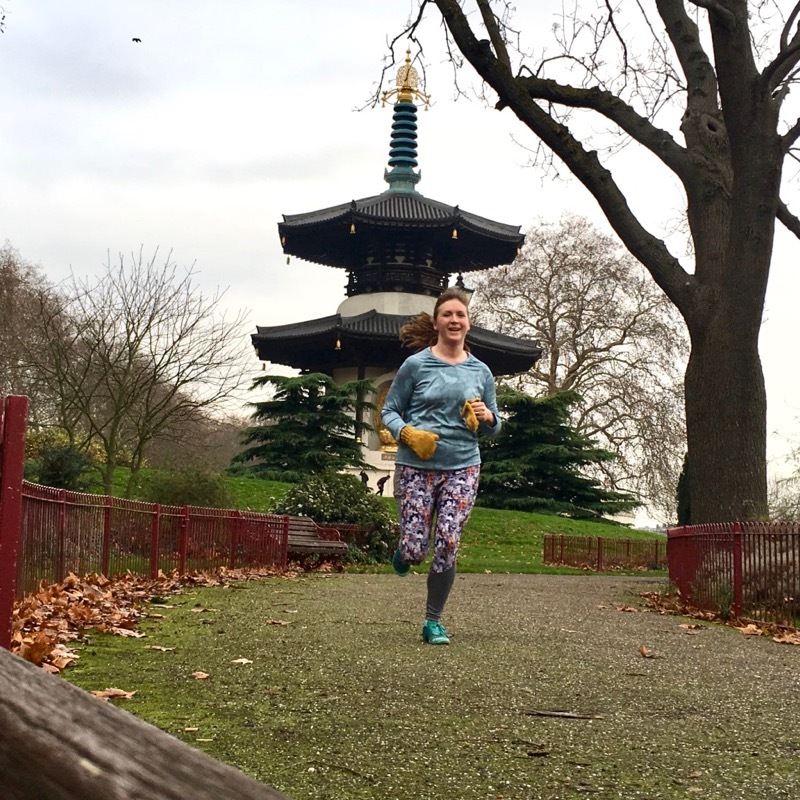 ), when I was bursting with happiness to just be back running my old, familiar routes again. It was perfect for a homecoming run! Has anyone else tried something similar with their Raglan Tees? 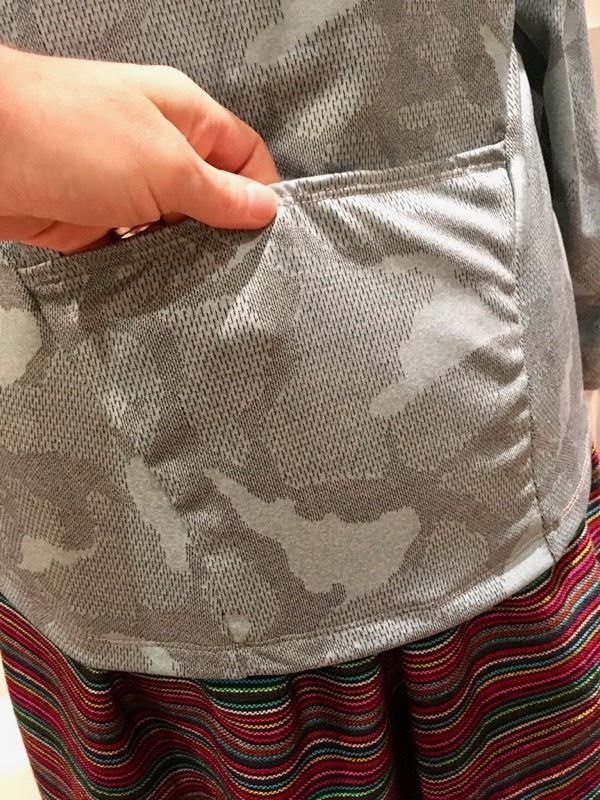 Or added a different style of pocket? Please share if you have! 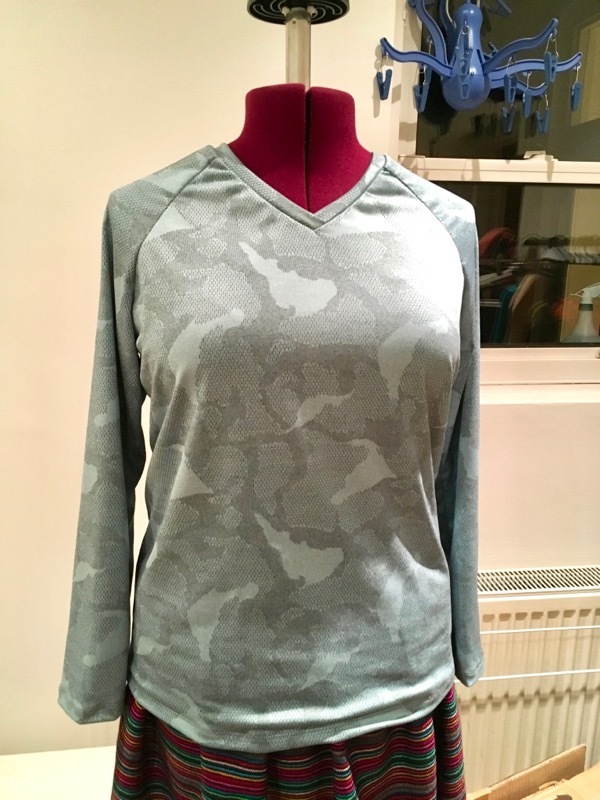 Separator image Posted in Gallery and tagged with exercise, sew your own activewear, SYOA raglan tee, top, tutorial. 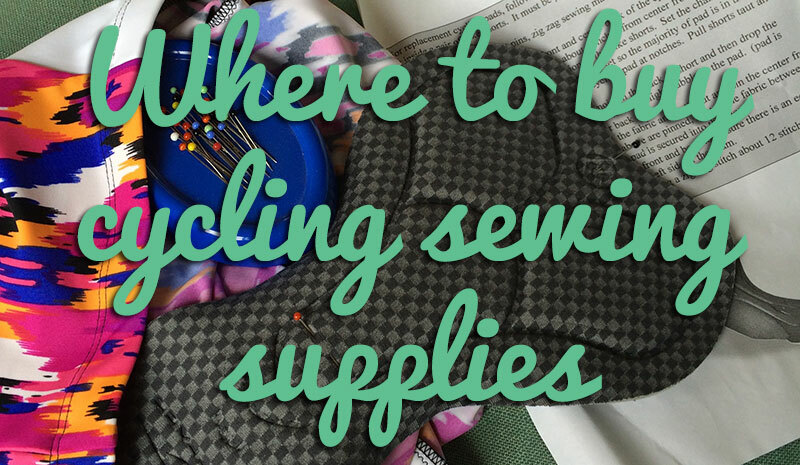 Yes, I add back pockets for cycling or walking. I keep my phone and tiny wallet/keys in it.